Corporations, large and small utilize the immense power of bulk email software to further and excite marketing initiatives by invoking personalization and interaction. It's also because InterECM provides business owners with in-depth tracking functionalities which detail communication deliveries and even the validity of email addresses. The full suite of reports will even assist long-term CRM activity planning and enhance internal market research studies for greater marketing presence. Depending on your needs, InterECM is also able to function as a standalone mailing list or eZine distribution engine which can easily scale to include a full range of email marketing services; from campaign and scheduling functions to smart technology that details online consumer engagement patterns. 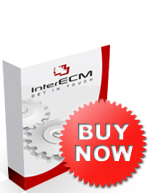 InterECM can be installed and run from private or secure internal servers or accessed via its hosted web based module. View our benefits section to address your email marketing service needs today. You can also contact us for a FREE trial account today!